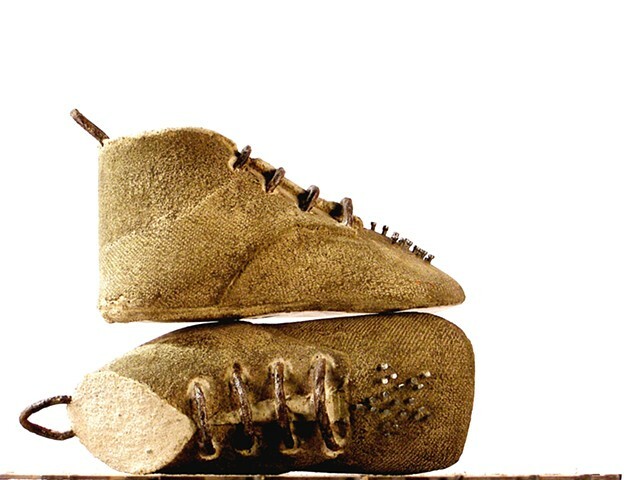 "First Star I See Tonight" concrete shoe sculptures have old rusty fence metal as laces and heel pulls. The first star small nails, laces and heel pulls were embedded before the real shoe is filled with concrete. The star pattern was perforated holes in the original shoe form.